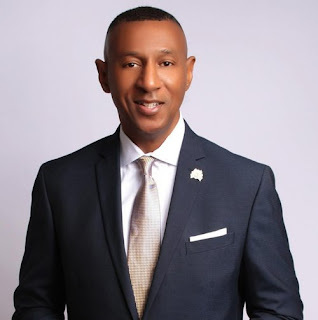 The following is an interview with Law Enforcement Action Partnership representative Special Agent Bobby Kimbrough (Ret.). He left the Drug Enforcement Administration in 2016 and now runs a program called Surviving the Shield, which helps law enforcement cope with the stress and trauma of their work. As a LEAP speaker, he focuses on improving access to PTSD treatment for police, opposing arrest quotas, improving police training and community relationships, procedural justice training, addressing racial disparities in the justice system, and improving transparency and accountability in policing. Mikayla Hellwich: How does the nature of policework impact the wellness of officers? 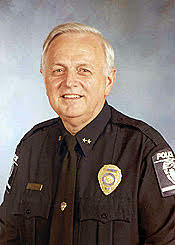 Bobby Kimbrough: I started over 30 years ago as a Winston-Salem police officer. I was first an officer with the state, and retired a special agent with the Department of Justice. The following is the second half of an interview with one of LEAP's newest representatives, Commissioner Branville Bard. He spent the majority of the last 25 years with the Philadelphia Police Department and has gained attention for implementing crime reduction and police training programs. 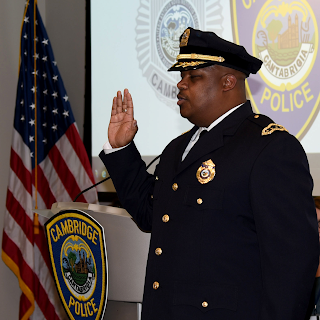 He was appointed Commissioner of the Cambridge Police Department in Massachusetts in 2017.Read Part I. "We work for the public and we need to be transparent and really show that willingness to submit to the public, at all times, at all costs!" Monica Westfall: You wrote a dissertation entitled: “Racial Profiling: Towards Simplicity and Eradication,” and in it you provide metrics to use in measuring the individual stop habits of officers you believe would eradicate racial profiling. Would you care to discuss these metrics in general? Suicide and the Code of Silence Every 12 minutes in the United States, there is one death by suicide. * Each year, 125 -150 police officers die by suicide ― almost triple the number killed by criminals, and double that of traffic crashes. September is National Suicide Prevention Awareness Month, a reminder of the urgent need for open, honest dialogue around mental health issues that can lead to loss of life. There are many potential risk factors and warning signs of suicide. Among them are exposure to trauma, easy access to lethal means, and a stigma associated with asking for help ― factors inherent to jobs in law enforcement. Read Sgt. Dorsey's personal story of witnessing an attempted suicide on duty. The following is the first half of an interview with one of LEAP's newest representatives, Commissioner Branville Bard. He spent the majority of the last 25 years with the Philadelphia Police Department and has gained attention for implementing crime reduction and police training programs. 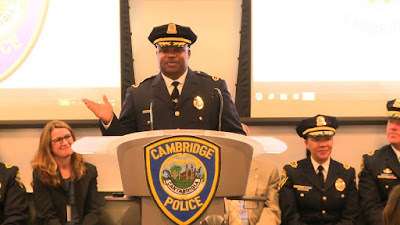 He was appointed Commissioner of the Cambridge Police Department in Massachusetts in 2017. "I simply ask my officers to apply this two-prong test at encounters with citizens. I tell them to ask themselves: did my actions contribute to the relief of a citizen, and did I have the opportunity to show compassion or kind-heartedness?" The following is an interview with one of LEAP's newest representatives, Chief Darrel Stephens (Ret.). He retired in 2008 from the Charlotte-Mecklenburg Police Department in North Carolina after an illustrious career marked by a commitment to using evidence-based approaches to problem solving and building relationships with his community. Mikayla Hellwich: The first time we spoke you told me you decided in high school that you thought policing would be a good career for you. Back then, your department was on the forefront of research. The Ford Foundation was providing money for groundbreaking research, some of which you were involved in. You said that’s what made you want to change policing – and that the best way to do it was to become a police chief. What did you want to change about policing then? And did that evolve over time?